In addition to protecting the interior structure of your home, one of the best things about having new vinyl siding installed on your home is that it can totally change the look. Whether your home is in need of new siding or you simply need some repairs done, the team at UpWright Restoration Services can help! In today’s post we’ll take a look at a few of the reasons you might consider siding replacement or installation and we’ll share a few of the ways that you can help ensure that your home looks its best. Keep reading to learn more! UpWright Restoration Services Has You Covered…Literally! When it comes to siding installation and repair, there are a number of different reasons that you might need to have this done. Whether you’re planning a home renovation or remodel (or you just want to change up the look of your home) our team would love to help. At UpWright Restoration Services we believe that you should enjoy your home. Turning the corner and pulling into the driveway is something that can put a smile on your face, but only if your home is looking its best. The truth is that sometimes new siding can make all the difference in the world. 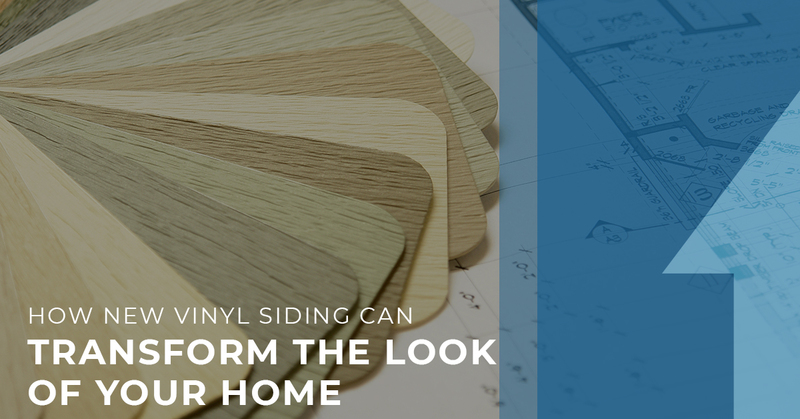 If your home is in need of a little something different but you can’t quite put your finger on it, new siding might just be the answer you’ve been looking for. Having new siding installed spruces things up just a little bit and can help to tie everything together. But what else can you do to boost your curb appeal, you ask? Nothing makes new siding pop quite like a few plants outside. Whether that means finding the perfect shrubs to place in front of your home or a hanging planter full of flowers, plants can help to make your home feel just a little bit more inviting. This, of course, is ideal when you’re looking for ways to spruce up your home. You could even build a couple of gardening boxes so you can enjoy pretty flowers or fresh vegetables if it suits you. When you have new siding installed your house numbers might be in need of an update as well. In some instances this can be as simple as grabbing the right color of paint, spraying your numbers, and re-attaching them to your home. Looking for a way to make a big change for a small amount of money? Head to your local home improvement store and pick out a new set of numbers that better suits your style. It’s the little things that make a difference and keeping a few personal touches on your front porch adds an air of personality that is unfortunately lacking from a number of homes. Whether you prefer to add a few custom chairs (sounds like the opportunity for a perfect project to us) or just thoughtfully place a few outdoor knicknacks, adding a few items outside is one of the little things you can do that truly goes a long way towards making your home a more interesting place to live. Are You Searching for a Siding Contractor in Minneapolis or the Surrounding Area? From Saint Francis to Spring Lake Park and everywhere in between, the team at UpWright Restoration Services is proud to serve a number of different locations in our neck of the woods. If your home is in need of new siding and you’re looking for a siding contractor in the Minneapolis area, we would absolutely love to help you. No matter the size of the job, you can count on us to get it done the right way the first time around.